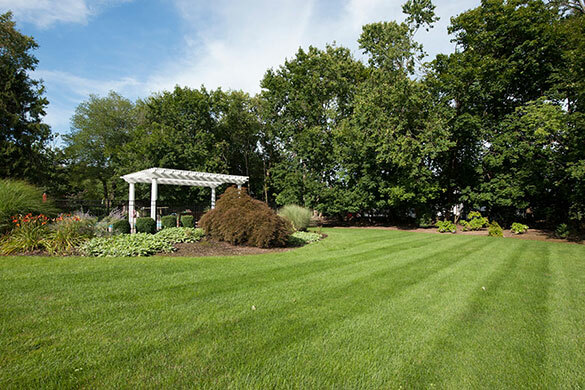 Friendly office staff will greet you and set up an experienced account manager to come see your property to determine your grounds maintenance needs. A customized grounds maintenance proposal will be developed by our estimator and sent to you within a few days, via mail or email. Your client account representative is always available M-F 9am to 5pm to answer any questions you may have about your services. Upon your approval we will assign a regular day for your dedicated maintenance crew to come to service your property weekly. Ensured beauty. Your maintenance crew foreman and client account manager will make note of any undesirable or harmful conditions on your property, and reach out to you for possible additional services on your property. The best in outdoor living. Depending on your grounds maintenance contract, additional services may be suggested to increase the enjoyment & aesthetic of your property. This, of course, will be done in a timely manner that best compliments your services seasonally. Ease of communication, your client account manager and office client care representative can be easily reached at any time to address any service concerns, skips or add-ons. You will always receive direct access telephone and email. 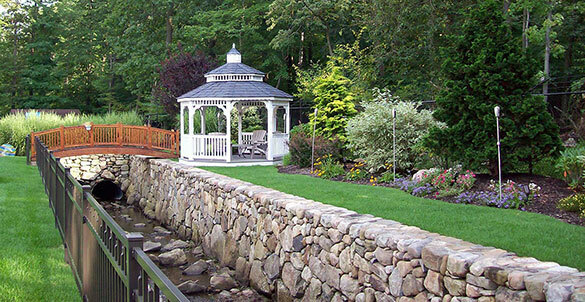 Satisfaction, at Curti's Landscaping, Inc. We proudly deliver the service and community commitment of a local, family owned business. Backed by the knowledge, expertise and strength of maintaining beautiful grounds since 1990. Our friendly office staff will greet you and set a consultation appointment with a knowledgeable estimator, most specialized in the type of landscape endeavor you seek, who will meet you at your property to discuss your outdoor wants and needs at length. Your estimator will then return to the office and diligently work on your personalized design build proposal and have it back to you in a timely fashion. Once your proposal has been fully created, your client account representative will email or mail it to you. Or your estimator may even arrange to hand deliver it to you. Your estimator and/or client account representative are always available M-F 9am to 6pm to answer any questions you may have about your customized proposal. When you choose Curti's, your project manager will generate a work order for your job, upon receiving your deposit. Of course, the sooner you can commit to us, the sooner we can commit to you. The details of your materials will be selected and ordered. Prompt scheduling, after the details have been worked out, you will be put on the list for scheduling as soon as possible for your job type. During your landscape endeavor, your client account representative and project manager will keep you informed about the job timeline, progress and any details that need to be discussed on-site. Dreams turned into reality, as your project is nearing completion, we will arrange to meet with you to perform a final inspection to ensure that we have met & exceeded your expectations. How to care for your new investment, to ensure the beauty of your project lasts, we will provide you with after care literature to ensure you make the most of your investment into your beautiful new outdoor living space. You can even have us maintain it for you. Even better!